BangKapi Mansion apartment is a great low-rise apartment located on Sukhumvit soi 12 near Asoke BTS and Sukhumvit MRT station. This gives tenants easy access to all parts of the city. The apartment is a spacious 380sqm and has 4 bedroom and 4 bathrooms plus a maid’s area. The apartment can be rented for a minimum of 12 months fully furnished, semi furnished or unfurnished. There are lovely hard wooden floors though out giving a homely feel to the apartment. 39 Boulevard has 2 high rise towers consisting of 1,2,3,4 bedroom luxury apartments which makes this apartment ideal for singles, couples and families. The facilities, similar to a 5 star resort include basketball court, futsal court, driving range, pool table room, snooker room, kids play playroom, large swimming pool and gym. Being positioned in Phrom Phong on Sukhumvit soi 39 gives tenants great options for dining, shopping and entertainment. 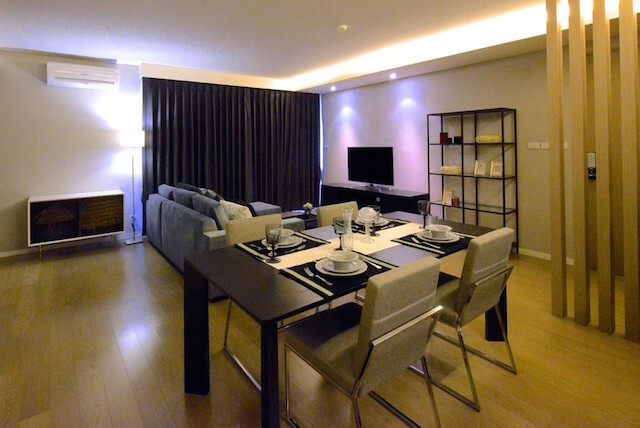 Ekamai Gardens is a well positioned apartment on Sukhumvit soi 63 attracting executives and families. There are 46 apartments in total, divided into 3bedroom 160sqm, 3bedroom 240sqm, 3bedroom plus maid’s room 250sqm, four bedroom 280sqm and four bedroom plus maid’s room 290sqm. 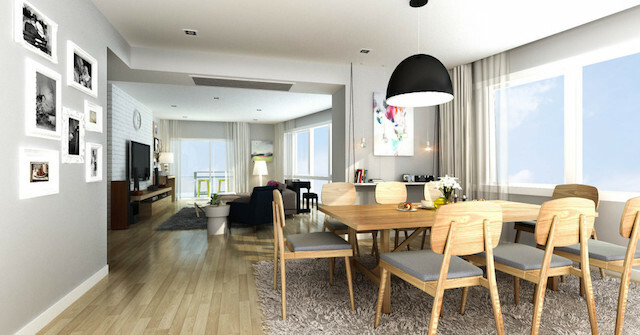 The apartments have huge windows to allow lots of natural light and good size balconies leading from the living area. For convenience Ekamai BTS station is walking distance. The Emporio Place is a luxury three tower high rise development located in downtown Bangkok on Sukhumvit soi 24. The towers are named by the direction they face; north, south and east and have a variety of luxury studios, 1-3bedroom including some duplex units. Nearby are a number of shopping and dining options including K-Village, The Emporium and smaller boutique shops in and around the Phrom Phong area. 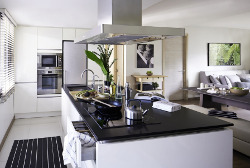 The Emporio Place is a perfect choice to those who require a high standard of living. 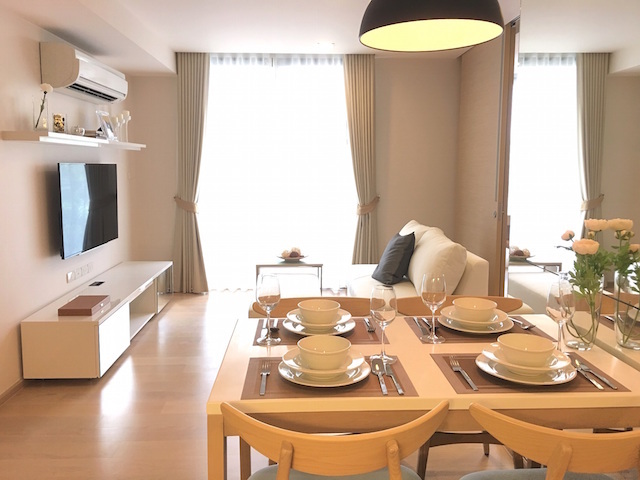 The Rajdamri is a Leasehold condo located Soi Mahadlek Luang 2 and is only a few minutes’ walk from Ratchadamri BTS station. The condo has 29 floors and consist of 45sqm studio, 67sqm 1bedroom, 112sqm 2bedroom and duplex 2bedrooms being 132sqm. There is a stunning 234sqm Penthouse with wonder views of the city. 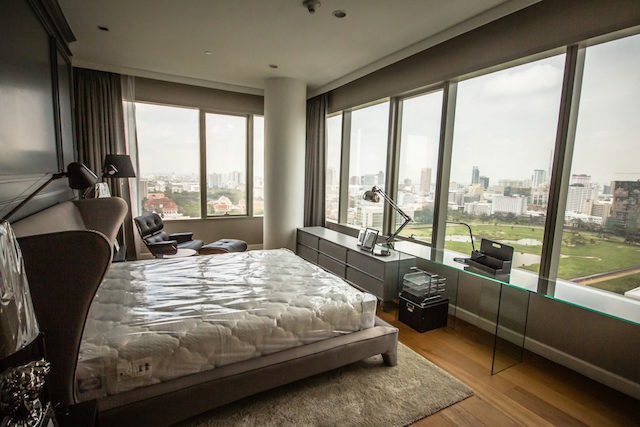 This luxury condo is ideally positioned for city executives and families who enjoy living close to Bangkok’s premium shopping malls The Paragon, Central World and Gaysorn Plaza. 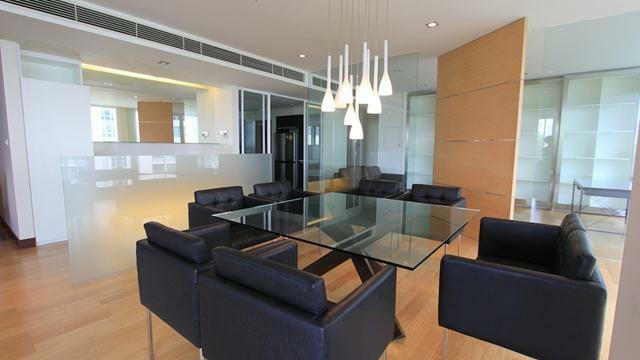 The Royce Private Residences is super luxury condominium located on Sukhumvit soi 23. The development consists of two high rise towers 39 and 25 storey’s with a total of 160 units. The smallest being 112sqm and the largest 462sqm. The stunning facilities include a 50m lap pool, Jacuzzi pavilions, a maze garden and a private club house. 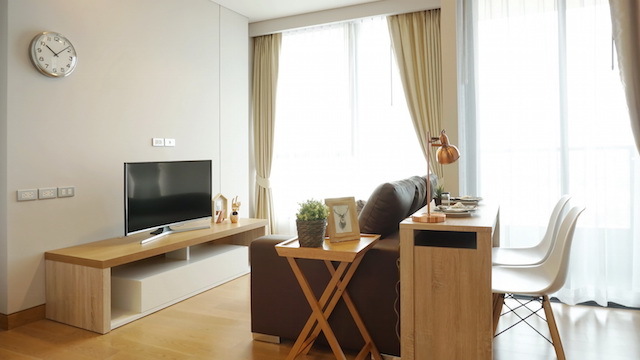 Nearby is Asok BTS and Sukhumvit BTS giving residents easy access to most parts of Bangkok as well as great shopping and dining options all within walking distance. The Millennium Residence was built is 2010 and changed the skyline of Bangkok. This Freehold condo consists of four high rise towers, each have 53 floors totaling 604 units. This gives apartment hunters a great choice from 66sqm 1bedroom, 90sqm 2bedroom, 126sqm 2+1bedroom, 193sqm 3bedroom and penthouse options for those who require the highest standard of living. The location of Millennium Residence is convenient with access from Sukhumvit soi 16, Sukhumvit soi 18 and Sukhumvit soi 20. 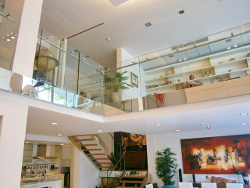 This stunning luxury 380sqm 3+1 bedroom and 3 bathroom detached house with private swimming pool is located in Ekkamai and has easy access to shops, restaurants and the BTS. The house is fully furnished and is a perfect family home and available for rent on long term rentals. 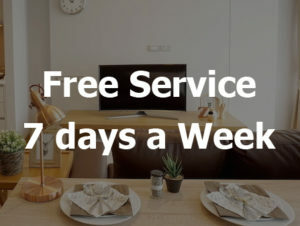 Nearby are many local and international restaurants and the nearest supermarket is Big C. This house makes a fantastic rental solution for an expat family being relocated to Bangkok. Willow 49 is a super luxury private housing compound with stunning detached housing all with their own private pool. All houses have hard wooden floors, fully furnished and fully equipped with high grade electrical appliances. There are 3+1 bedrooms 4 bathrooms and a separate maid’s room. As standard the compound has 24-hour security and CCTV. Nearby is one of Bangkok best hospitals Samitivej. Starbucks, Villa Market and Thonglor BTS are a short ride away. Single 550sqm 3 bedroom, 4 bathroom and spacious house for rent with a 10 metre saltwater swimming pool located in a quiet soi close to Ekkamai BTS station. It has 500sqm of living space and a large garden. This fantastic luxury house is available on long term rentals and will make a great family home. As it’s close to Ekkamai BTS there are many great restaurants, coffee shops, wine bars and International Schools close by. Panya Village is a large housing Moo Baan with luxury houses starting from around 80,000Baht per month. The houses are all single houses with their own private gardens and some with swimming pools. Those without a private pool can enjoy the Moo Baan facilities which include a large swimming pool, gym, club house and tennis courts. 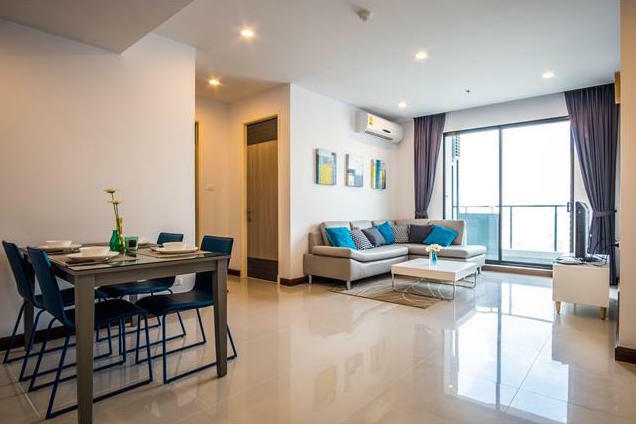 This Moo Baan has easy access to On Nut BTS station and is perfectly situated for families who have children studying at Bangkok Patana International School. El Patio is a cat-friendly apartment for rent located on Sukhumvit soi 31 in Phrom Phong between Asoke and Phrom Phong BTS stations. This 2 bedoom apartment for rent has 2 bedrooms and comes fully furnished with a large comfortable sofa, ceiling fans as well as air-con units and a European-style kitchen with an oven. Its features include a large swimming pool, fitness room and a tuk-tuk service to Phrom Phong BTS station. Cable TV is free of charge for all tenants and cats are allowed. This 2 bedoom luxury 109sqm condo for rent is pet friendly and located 200 metres from Asoke BTS station. It has 2 bedrooms, is spacious and comes fully furnished with large balconies from which you can enjoy the fabulous views of the city and lake. Its features include a rooftop swimming pool, gym, and parking and security. There are lots of great dining and shopping options within walking distance such as Robinsons and Terminal 21; two large shopping malls. The Aguston is a Pet Friendly condo allowing well trained dogs under 15kg. The condominium has two towers and each tower has a swimming pool. The gym is excellent and well equipped and there is also a children's play room, library and bowling alley. 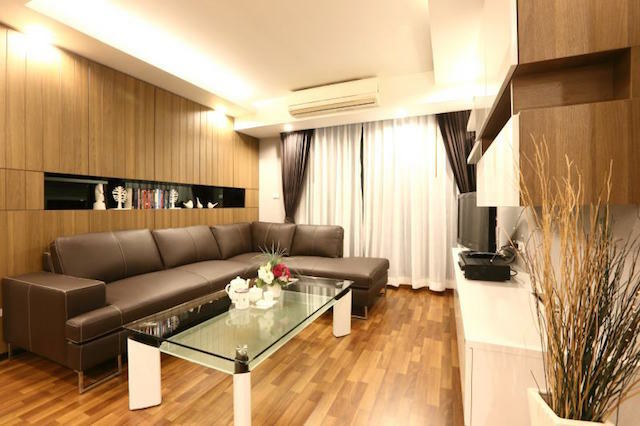 This is a great family condo and very popular with western and Japanese expats working in the Asoke area. The nearest BTS station is Phrom Phong and there is a tuk tuk service to shuttle residents to this station. BangKapi Mansion apartment is a great low-rise apartment located on Sukhumvit soi 12 near Asoke BTS and Sukhumvit MRT station. This gives tenants easy access to all parts of the city. The apartment is a spacious 380sqm and has 4 bedroom and 4 bathrooms plus a maid's area. The apartment can be rented for a minimum of 12 months fully furnished, semi furnished or unfurnished. There are lovely hard wooden floors though out giving a homely feel to the apartment.